We are seeking graduate students to join the Dpt. of Archaeology at the University of the Basque country (Araba Campus, Vitoria-Gasteiz), Built Heritage Research Group (GPAC). Early-stage researcher will be hired under the Spanish Ministry 4-year predoctoral contracts (FPI). All nationalities can apply. Topic: Ceramic trade and technology in the Central and North Iberian Peninsula from the 16th to the 18th centuries. 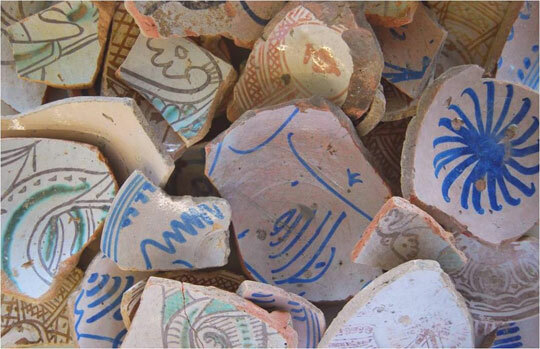 Non-destructive methodologies will be developed to study post-medieval Spanish ceramics. Ideal candidate will have a solid background in Archaeology or Archaeological Sciences, History, Geology, Chemistry, Conservation Sciences. Other backgrounds may be also considered. Call published at the MINECO website. Web application deadline is September 26, 15:00h, 2014.